If you do not receive a password reset email, these are the most likely reasons. The email address entered on the password reset screen was not the main registered address. The password reset email was redirected to the Spam folder. Check in that folder. The server suspected the password reset email was spam and blocked it. The email address entered on the password reset screen is not the main registered address. 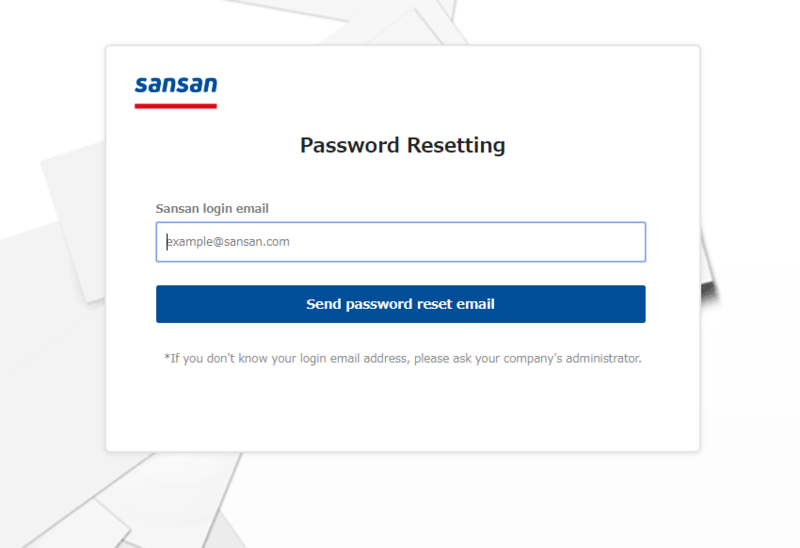 * If you are not sure what your registered email address is, please check with the Sansan administrator in your company. The password reset email was redirected to the Spam folder. Check in the folder. Please check if the password reissue email is in the spam folder of the email software you are using. In some cases, the password reset email may be treated as spam on the server side. For more details, please check with the administrator in your company. The sender of the reset mail is service@sansan.com.